I wonder what my reaction would of been if it was the other way round. "hmm, forced out of business you say?" it would of been tempting but just the thought of some of them coming to the Valley for their football fix would probably drive me to support them in returning to the dump. and I guess they thought the same. 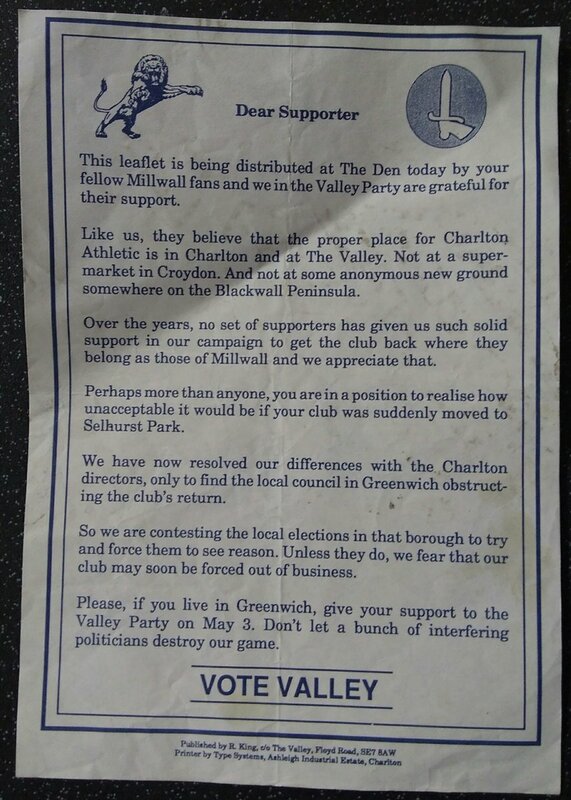 I'm sure their reputation might of been given a significant blow if away fans saw millwall fans with flasks of bovil and train timetables tucked under their arms. though the timetable might of made a nice millwall brick.